Online stream anime episodes, Watch Naruto Shippuuden Episode 29-30 English Subbed online and free episodes. Anime Episode guide, Chapter Naruto Shippuuden Episode 29-30 English SubbedKakashi Enlightened! Kakashi reveals his Mangekyo Sharingan, and uses his interdimensional warping technique, Kamui, to try and warp Deidara, but succeeds only in warping his arm. While Deidara has his guard down, Naruto manages to separate him from his clay bird, and has his clones retain Gaara’s body from the bird’s mouth. 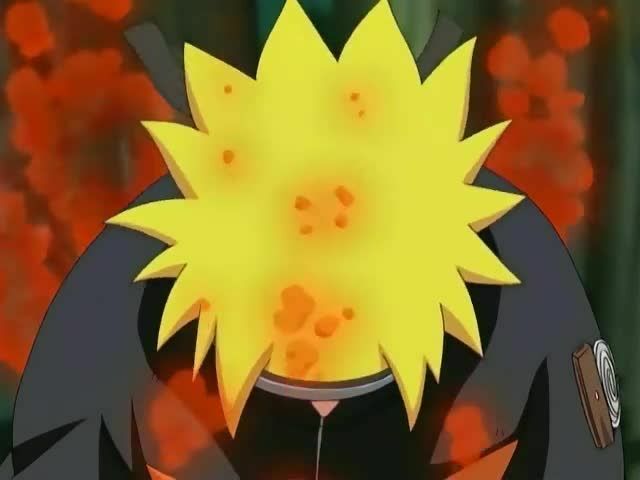 Naruto attacks Deidara, only to discover that he is beating up a clay clone. Angered, Naruto’s Nine-Tailed Fox chakra begins to emerge, leading Naruto to transform to his Two-Tailed form.